Visit EQUISTIX® Booth 1321 in the Young Building at the Equine Affaire for a demonstration. Plus, enter to win the EQUISTIX® 2018 Equine Affaire Drawing. Are you considering Equine Massage Therapy as a career? Would you like to learn more about massage for your own horse? The drawing winner will receive a $200.00 gift certificate toward an Equine Massage Certification program with TherasageEMC. No purchase is necessary. 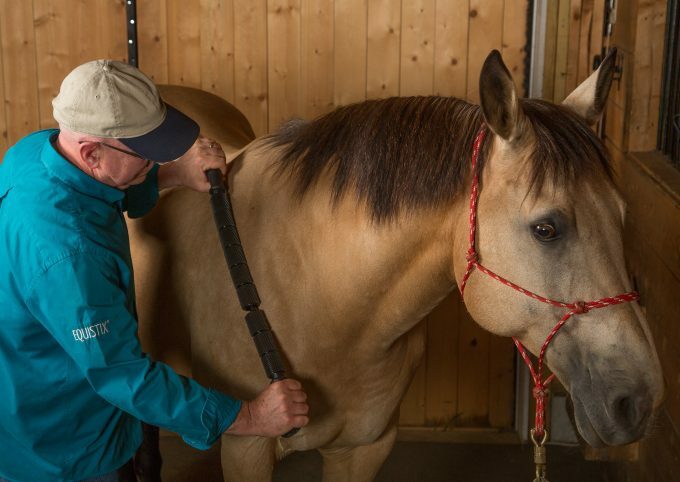 EQUISTIX® is a professional quality Equine Sports Massage Therapy Tool (ESMT). It’s recommended and used by certified equine massage therapists. chiropractors and veterinarians. Equine Affaire is North America’s premiere equine exposition and equestrian gathering with a unique celebration of the horse offering unparalleled educational, entertainment, and shopping!!! Visit the EQUISTIX® Booth 1321 in the Young Building to enter.